Trigger point therapy, also referred to as myofascial trigger point therapy, is a massage technique which involves locating trigger points and manipulating them to decrease the pain. Trigger points are hard knots within a muscle tissue that may cause/radiate pain in other areas of the body. For instance, a trigger point present in a person’s back may cause referral pain in their neck, which may then get transferred to their head. The intensity of the pain can range anywhere from a dull ache to intense and sharp. 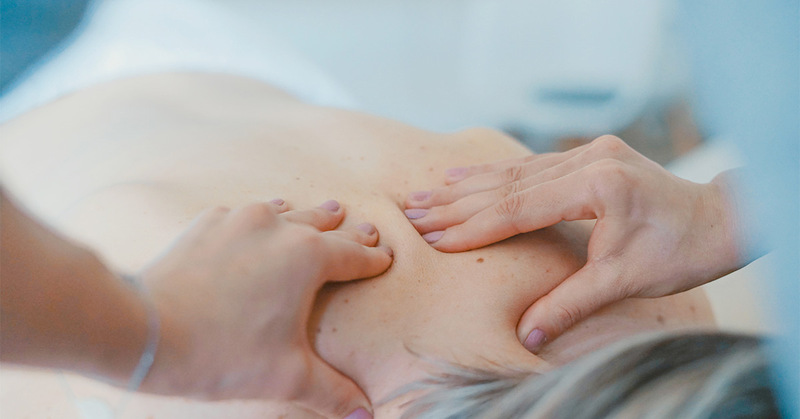 If you are experiencing discomfort associated with myofascial pain syndrome and find yourself looking up “massages near me” in the Miami, Florida area, look no further because Cosmetic Laser Professionals can provide you with a top of the line massage experience. The purpose of Trigger Point Therapy is to eliminate the source of discomfort and pain in the muscles through an isolated series of applying pressure and releasing. This helps re-program the muscles in healthier, pain-free habits. After a few treatments, it can reduce the stiffness and swelling of neuromuscular pain, increase the range of motion, relieve tension and improve flexibility, coordination, and circulation. What to Expect From a Trigger Point Massage Session? Trigger Point Therapy may be included in a massage session. The massage therapist may sense/palpate a part during the massage where the muscle twitches, feels taut or which causes the client to flinch. The client can also locate the area of discomfort and pain themselves. The therapist is then going to proceed to “deactivate” the trigger point or trace the patterns of pain referral. A trigger point is a knot in the muscles which can produce pain in another area of the body. The therapist is then going to apply pressure to the area until the pain eases off. Trigger point therapy involves the use of ischemic compression which is a non-invasive and gentle way to get rid of trigger points. The pressure is going to cause the pain to dissipate until you can only feeling the pressure of the therapist’s thumb at the point. It can take several sessions to completely get rid of trigger points. Trigger point therapy helps release constricted areas or “knots” in the muscles which in turn helps alleviate pain. Even a single treatment can help reduce the pain significantly. If you suffer from general pain, tension headaches, fibromyalgia or myofascial pain syndrome, reach out to Cosmetic Laser Professionals instead of searching “massages near me” to get the best trigger point therapy in Miami, FL. We will ensure that you leave feeling better than you came in and that you are well on your way to recovery.